There are 12 reviews of Champaca. This has an awesome scent like true to life daffodils. I suppose champaca smells like that. It smells like you're smelling the flower itself. However, sillage is weak while longevity is only moderate. Also, it leans very feminine. A lightly soapy delicately pretty floral scent that conjures up images of summer, specifically for me unfortunately, of hanging up laundry in the summer. Damn these fragranced detergents! A beautiful note, champaca, and I believe this fragrance does a fair job in bringing this forward. But I personally find this a little too sweet, a lit too straight-forward, and there for a little too simplistic. A pleasant wear that comes with a steep price. I've worn the odd, sweet/tart, fruity/floral champaca in scents like Ayala Moriel's Rebellius and Mandy Aftel's Tango, where it is backed by strong, smoky leather. Ormonde Jayne serves it simply, without the smoke and the hide, on a bed of sweet amber and woods. The effect is both exotic and refreshing, but also relativelly bright, and I can see wearing this scent if you're looking for something sweet to wear in summer. On the other hand, Champaca doesn't do much to excite me, and if I'm looking for the distinctive tang of its star ingredient, I'm going to turn to more complex and darker scents. Another creation of great subtlety from Linda Pilkington; no blaring floral here. This one suspends the creamy loveliness of the champak blossom on the comforting notes of the lightest of green teas, bamboo and dry basmati rice – a precious flower resting on gossamer layers. One drifts in and out of its spell, with the scent fading into the background and then coming up again in swells during the day. The lightness of touch made me think of it primarily as a warm weather perfume, but it shows its worth equally well in the enclosed spaces of winter. There are no member images of Champaca yet. Why not be the first? 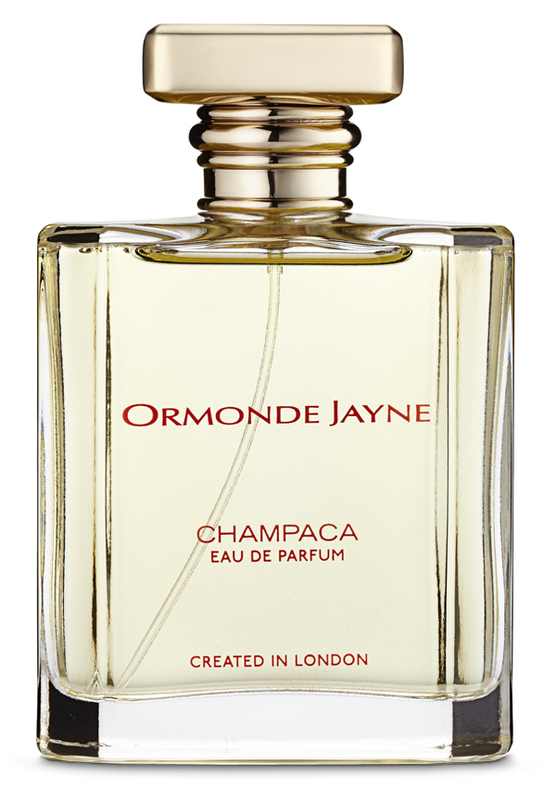 Missing link between Ormonde Jayne's Champaca and Parfum d'Empire's Osmanthus Interdite?